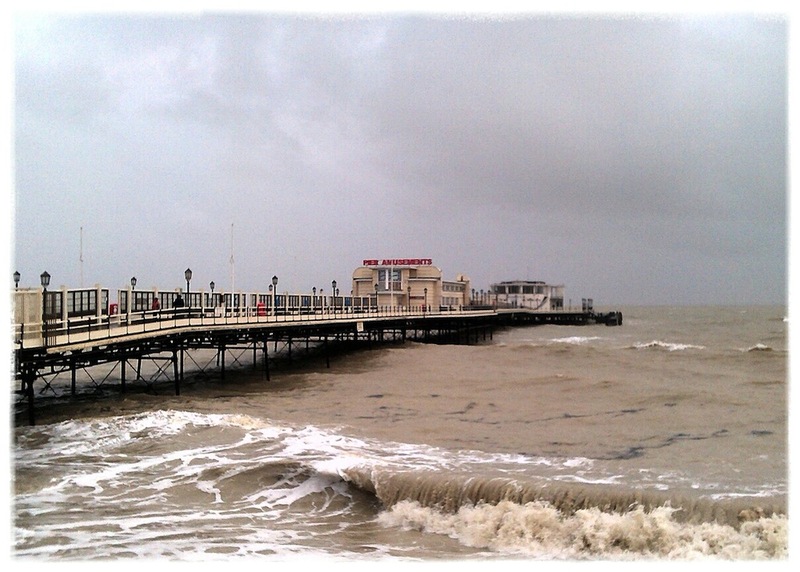 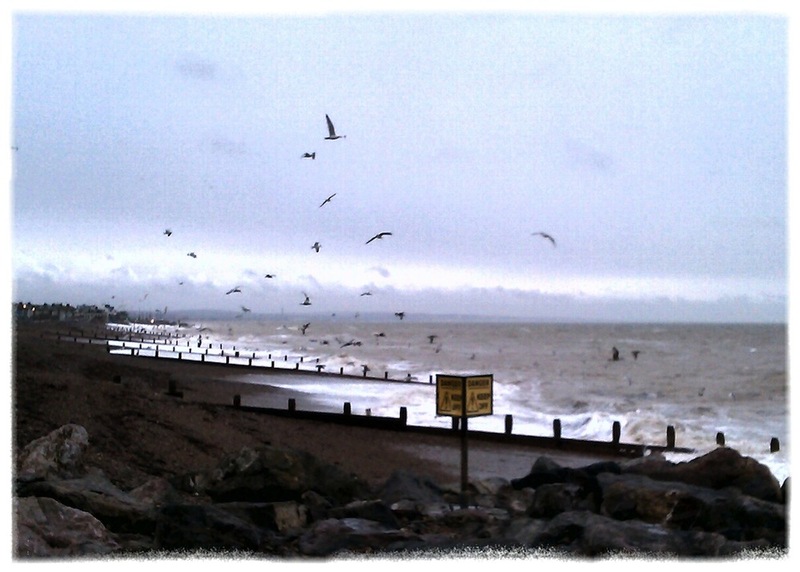 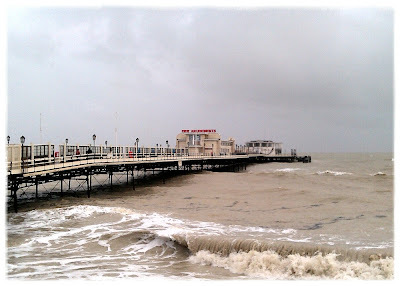 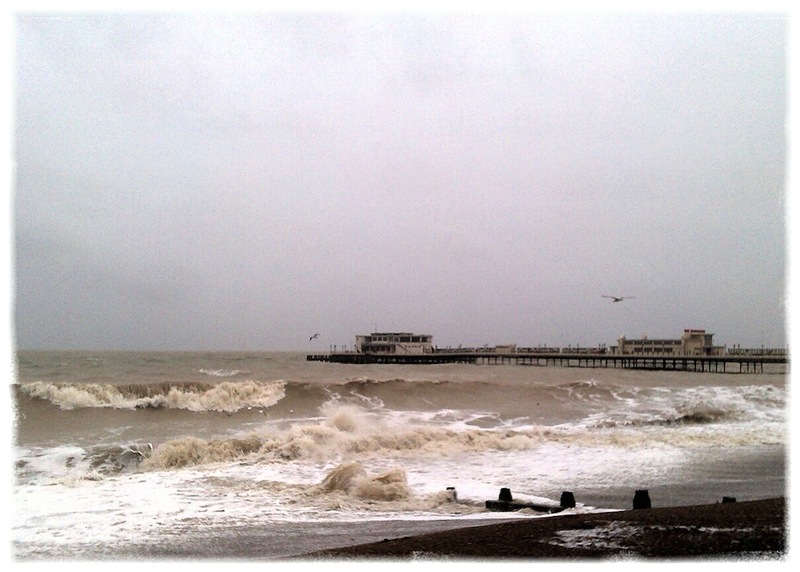 Yesterday's high Spring Tide saw the sea lashing Marine Parade and pelting Worthing's promenade with shingle, driftwood and seaweed. 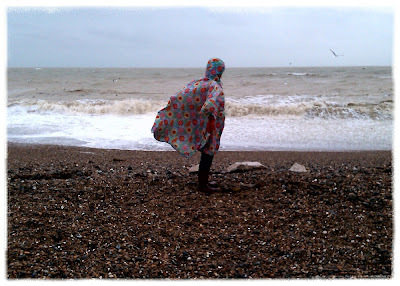 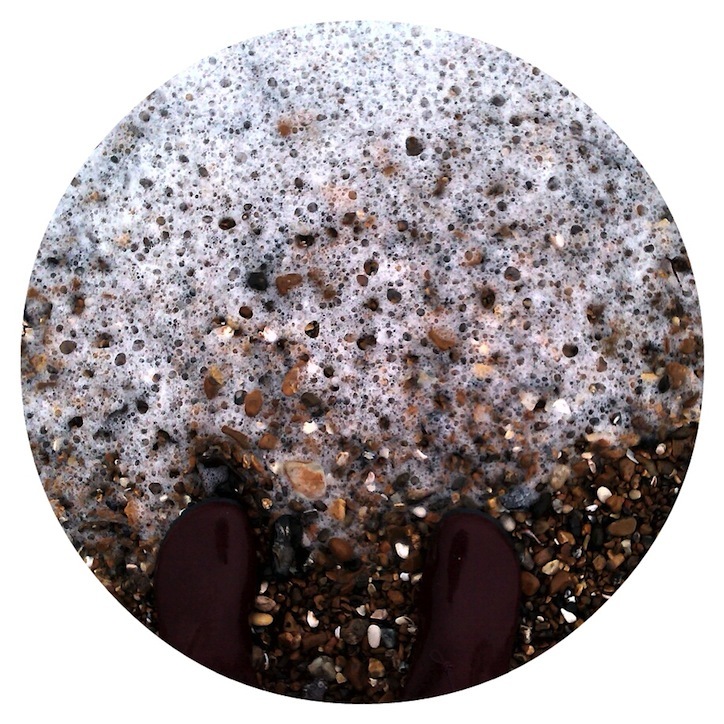 This afternoon the weather seemed calm enough for us to attempt a seaside walk at low tide so we dressed for the occasion in warm woolly layers, raincapes and waterproof boots. 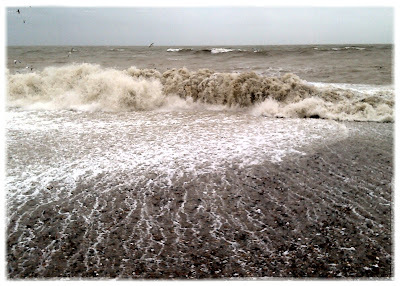 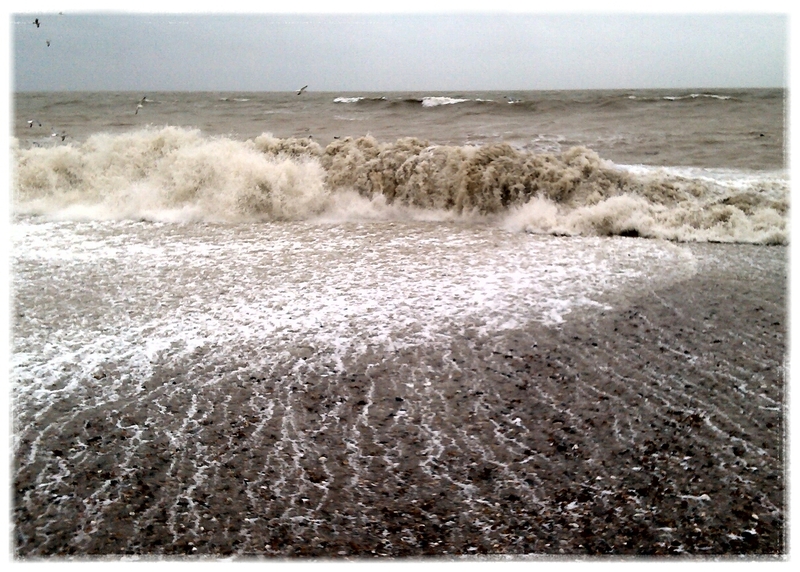 Even as the tide went out great waves crashed ashore and huge swathes of sea foam lapped in as far as the beach shelters on the prom. 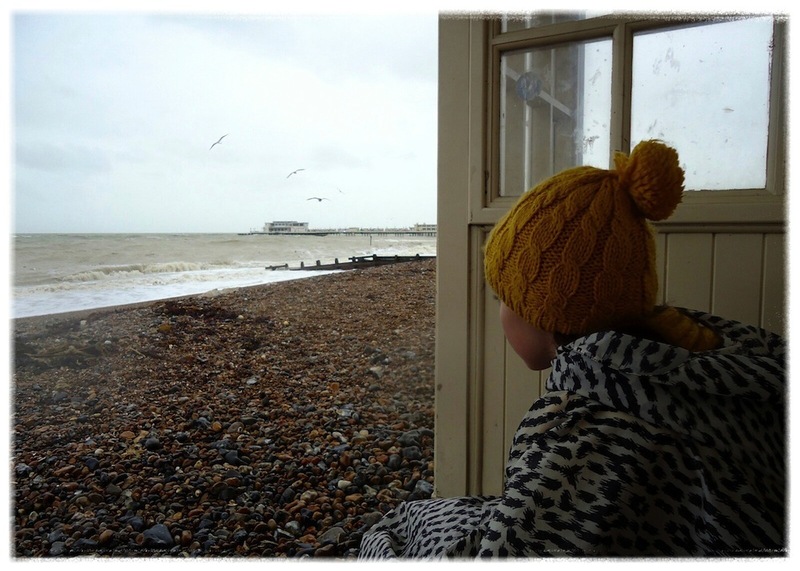 Worthing Pier reopened today (after being closed for the past few stormy days) but we felt safer heading across the road to Macaris for hot chocolate and waffles.